Regina Anyaegbunam, Kalisha Dunn, Kyleigh Penix, and Aracely Gonzalez Diaz are 2019's Build Up Omaha student honorees. Join us Jan. 24 to celebrate their accomplishments. 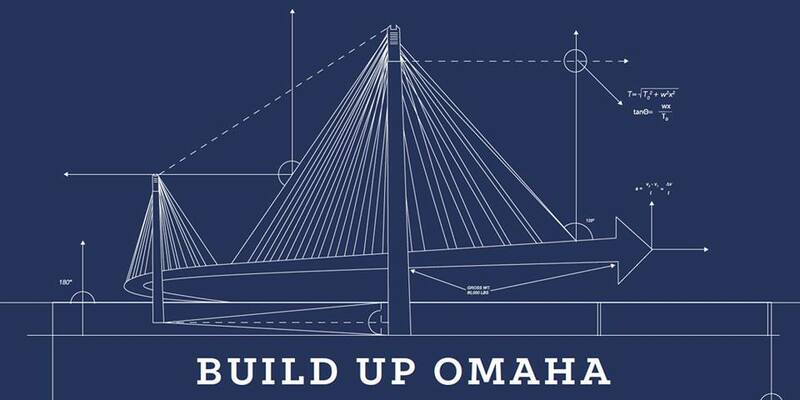 Each year, Civic Nebraska’s Build Up Omaha awards recognize Omahans whose work embodies the spirit of a modern, robust democracy. Among our 2019 honorees are community advocates, neighbors, leaders, everyday Omahans, and students from our Community Learning Centers. We’ll officially honor the winners at a celebration Jan. 24, but before then, here’s a chance to learn a bit more about what makes our student winners special. 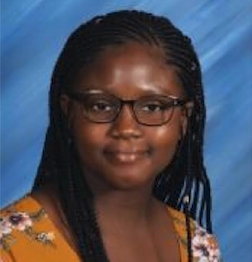 From Lewis & Clark Middle School, Civic Nebraska honors eighth-grade student Regina Anyaegbunam, a member of the Trailblazers After-School Program for the past two years. Lewis & Clark CLC Site Director Tracy White says: “Regina is the epitome of excellence in a middle school student. Diligent in her studies, she has maintained a 4.0 GPA throughout her time at Lewis & Clark. Regina understands the importance of education, is focused, and is driven. She is active in various school clubs, in the school’s drama productions, and participates in plays and musicals. “Teachers, administrators, and after-school staff members have nothing but great things to say about Regina. Her future will be bright as she works toward her goal to be an OB/GYN doctor. Her desire to make her family proud is the core of her motivation — she is very close to her mother, who is so proud of the accomplishments this exceptional eighth grader has made. She is always giving, even volunteering to tutor other students during Lewis & Clark’s homework hour. 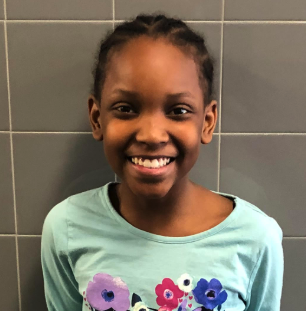 From Lothrop Magnet Elementary, Civic Nebraska honors Kalisha Dunn, a fourth-grade student at the school and regular attendee of the Lothrop CLC. Lothrop CLC Site Director Equasha Smith says: “Kalisha is at the top of her class, having received all A’s in every learning domain so far this year in school. Kalisha also has awesome attendance by ‘striving for 95.’ She knows that her family cares about her education – and that there are many adults in her life that want her to do her best and support her, as well. Kalisha’s dream is to become a famous basketball player, and she has been inspired to work hard on the court by her basketball coach. “We are grateful to have Kalisha and her positive attitude in our program. Kalisha lost her father this year due to health problems, but Kalisha has continued to strive for excellence –she knows her father expected her to be successful in school, and in life. In his absence, she has resolved to focus even harder on her work and learning outcomes and continue to get good grades to keep her father proud. From Sherman Elementary School, Civic Nebraska honors Kyleigh Penix, a helpful hand during CLC hours. Sherman CLC Site Director Becky Nichol and CLC instructor Brianna White say: “Kyleigh is an exceptional leader to all ages in the Sherman program. 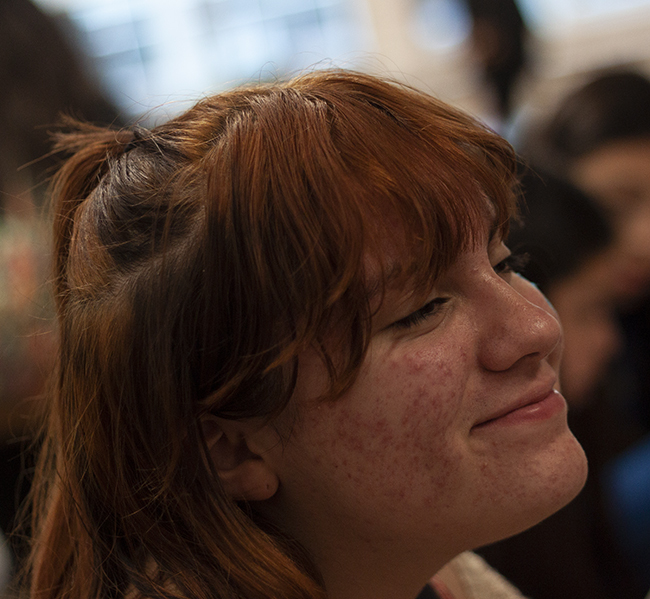 She is consistently kind, helpful and serves as a positive role model to her peers. 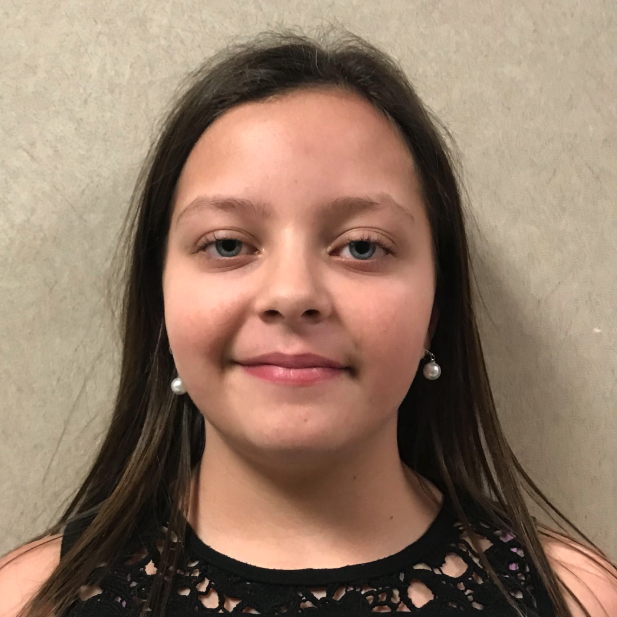 “Kyleigh is the oldest of three siblings, and understands the importance of following rules and ensuring that the CLC program is safe and helpful to all kids. Kyleigh is an active participant in a wide variety of clubs, so that she has a well-rounded learning experience at Sherman after school. This year she took a leading role in the Keep Omaha Beautiful Neighborhood and School Ground Cleanup. From our Circles club, Civic Nebraska honors Aracely Gonzalez Diaz, an active student leader at Norris Middle School. Circles Coordinator Maranda Loughlin says: “Aracely is involved in a range of activities – she participates in Tech Team; she is the captain of the Norris Middle School pom squad; she has donated tie blankets to the Women’s Center for Advancement; and is involved with Partnership for Kids. Aracely has been a part of Circles since the start at Norris. She is full of ideas, but also engages with other people’s thoughts and perspectives. She knows how to read a room — she can energize her peers or adults, she’s unafraid to speak up even when it’s uncomfortable, and she can make people laugh and think at the same time. Meet Regina, Kalisha, Kyleigh, Aracely and their fellow honorees Jan. 24 at Build Up Omaha at the Livestock Exchange Ballroom in Omaha. Get your tickets here.